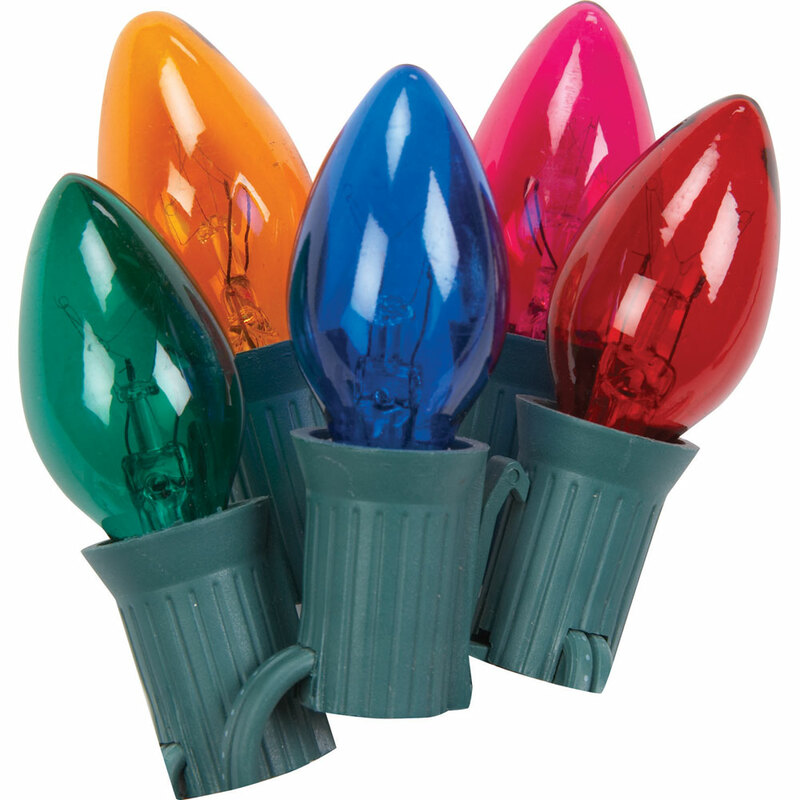 Multi-Color C7 String Lights come with 25 multi color transparent lights spread across a 24 foot length. 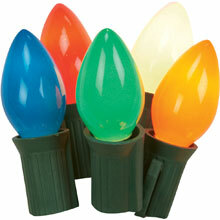 If one multi-color bulb burns out, the rest stay lit. 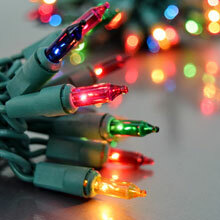 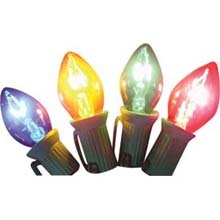 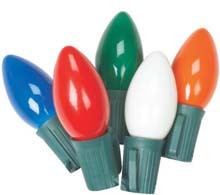 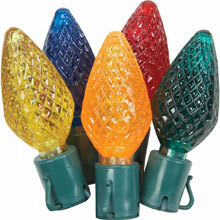 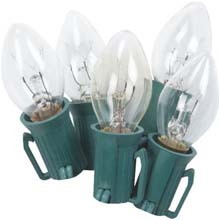 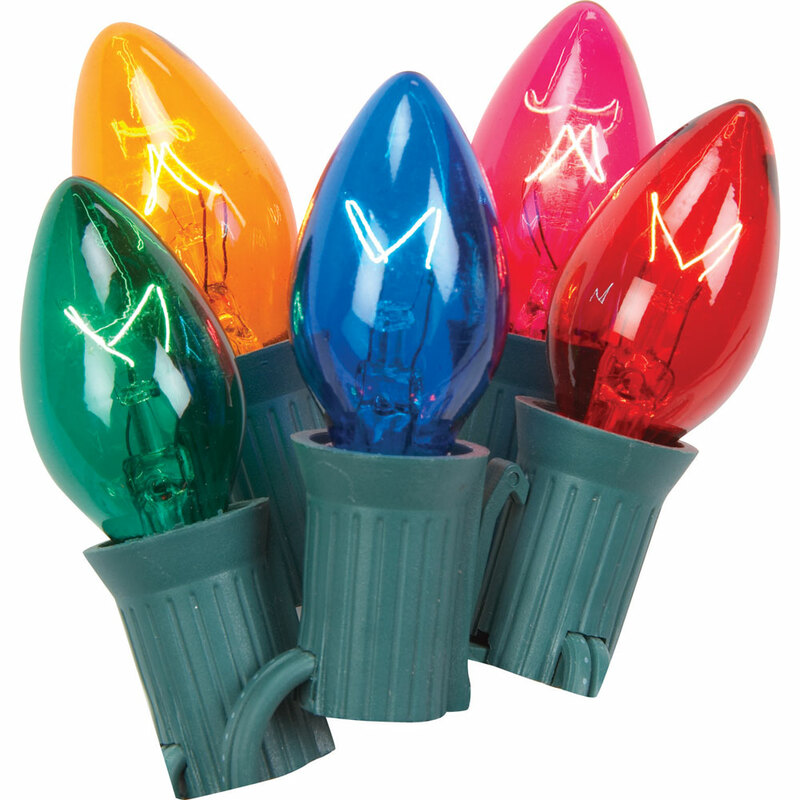 Hang these multi color lights in any setting, indoors or outdoors for general holiday lighting. 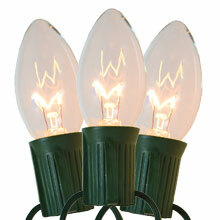 transparetn lights on a 24 foot green cord. 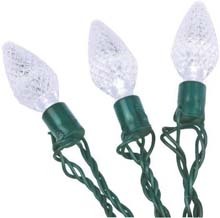 Christmas string lights for the holiday season.